Unison 'prepared for fight of our lives' Jump to media player Unison are "prepared for the fight of our lives" to protect pensions, general secretary Dave Prentis has said. 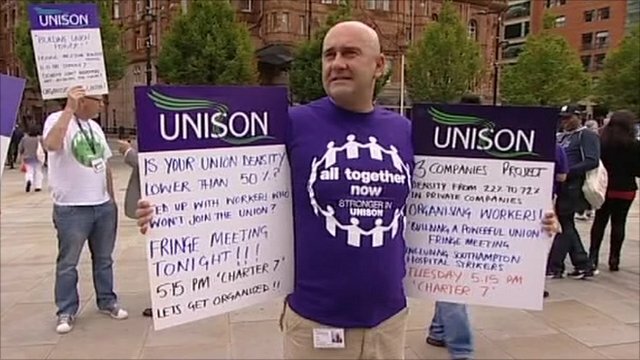 Unison preparing for strike vote Jump to media player The UK's second largest union, Unison, is preparing to strike over pension reform as it enters the first day of its annual conference on Tuesday. 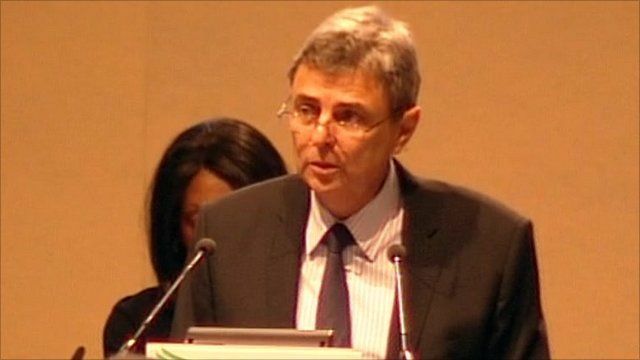 Unison are "prepared for the fight of our lives" to protect pensions, general secretary Dave Prentis has said. Mr Prentis said that though the UK's second largest union was willing to negotiate, it was also planned to ballot members if talks fail. Negotiations with the government over pension reform resume on 27 June.